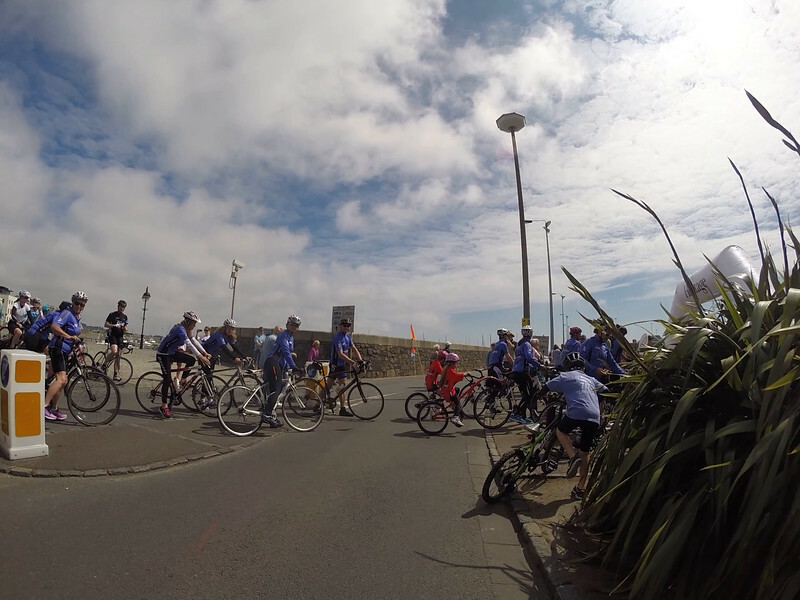 30 in 30 bicycle riders in blue jerseys arrive at the finish line of the Rock to Rocque bike ride around the coast of Guernsey on 24 May 2015. 30 in 30 cyclists cycle for an hour or for 30 miles per day for 30 days consecutively to raise funds for Les Bourgs Hospice. The 30 in 30 cycle challenge finishes with the Rock to Rocque Bike Ride, which begins and ends in St Peter Port.